Air Zone Air Conditioning & Heating is Tampa Bay’s choice for affordable HVAC services and emergency AC repair in Citrus Park. Our goal is to “serve” our customers needs, that’s why we provide 24/7 emergency service, repair, installation, maintenance agreements and clean air solutions. A licensed & certified HVAC Contractor who takes every aspect of our business seriously. We train our technicians in today’s current air conditioning technology and installation procedures. Air Zone provides the HVAC products and energy saving solutions while providing the customer the peace of mind that you deserve. If you need a new air conditioner, remember, not all are built the same and not all HVAC installers in Tampa Bay can get the job done right. There are so many choices when it comes to a new air conditioner or clean air solutions but the importance really lies with how good the installation is. You can purchase the best HVAC unit there is, and if the installation is not done correctly, you will surely have problems. 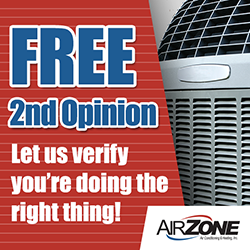 Air Zone wants to make sure that our community and families are making the right choice when it comes down to replacing and installing a new air conditioning unit. That’s why we offer homeowners free second opinions for AC installation in Citrus Park and throughout Tampa Bay area. Let’s be honest…Purchasing a new air conditioner is an expense. You want to be sure that you are getting the very best HVAC unit for your home, and HVAC installation service that is professionally executed from choosing the right products to installation. We want your new AC to perform as it was designed to perform. 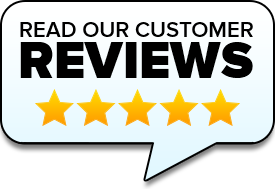 Why not take advantage of this free second opinion for AC installation and repair service for Tampa Bay homeowners? Let us help you to determine if your choice, is the best choice.